A Massachusetts man accussed of fatally shooting his estranged wife in Everett Wednesday was ordered held without bail Thursday. The night before she died, prosecutors said Ersilia Cataldo Matarazzo told friends she was afraid of what Emilio Matarazzo might do to her. 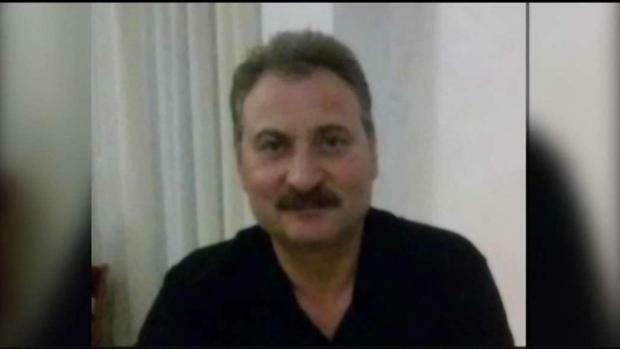 Ersilia Cataldo Matarazzo was allegedly shot and killed in her car by her estranged husband, Emilio Matarazzo, on Wednesday morning. The night before she died, prosecutors said Ersilia told a friend she was afraid of what Emilio might do to her. Prosecutors said Ersilia told her family last month that Emilio had been violent with her, at one point strangling her. A Massachusetts woman fatally shot by her estranged husband as she was heading to work Wednesday told a friend the night before she was killed that she was afraid of what he might do to her, officials said. 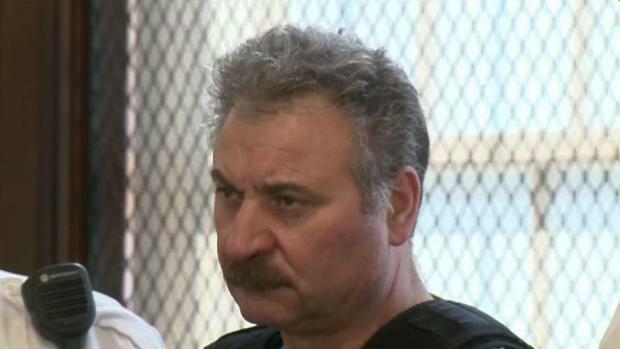 A judge ordered 55-year-old Emilio Matarazzo, of Peabody, to be held without bail during his arraignment Thursday on a murder charge in connection with the slaying of Ersilia Cataldo Matarazzo of Everett. Prosecutors said in court Thursday that Emilio spoke to his son on the phone about 10 minutes after the shooting, telling him, "What is done is done." The night before she died, prosecutors said Ersilia told a friend she was afraid of what Emilio might do to her. She had recently filed for divorce after 30 years of marriage. 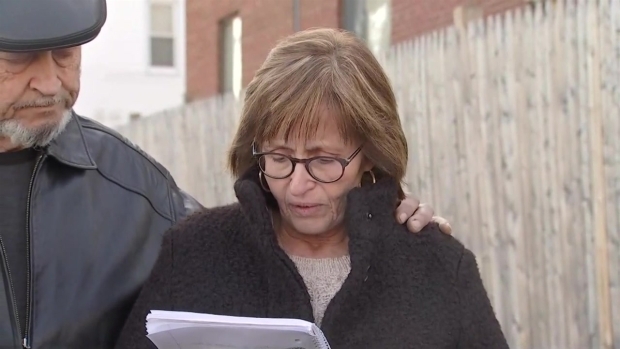 The family of Ersilia Cataldo Matarazzo, the woman allegedly killed by her estranged husband as she was heading to work on Wednesday, spoke out on Thursday. Prosecutors said Ersilia told her family last month that Emilio had been violent with her, at one point strangling her. He also reportedly showed up at a holiday party earlier this month at the church where Ersilia worked and caused a scene, refusing to leave. Ersilia recently turned 50 and prosecutors said that for her birthday, Emilio sent her a $20,000 check, chocolates and an apology letter in an attempt to win her back. Emilio Matarazzo reportedly turned himself in to Everett police about two hours after he allegedly shot and killed his estranged wife. Prosecutors said when officers asked Emilio how it was going, he replied, "Not good." Middlesex District Attorney Marian Ryan said Everett officers responded to a home on Central Avenue after receiving a call around 8:40 a.m. for a report of shots fired. When police arrived, they found Ersilia Matarazzo's body inside a car in the driveway of her parents' home with multiple gunshot wounds. A neighbor said she heard four gunshots followed by screams. "After the four gunshots, I heard screaming. A woman screaming," she said. 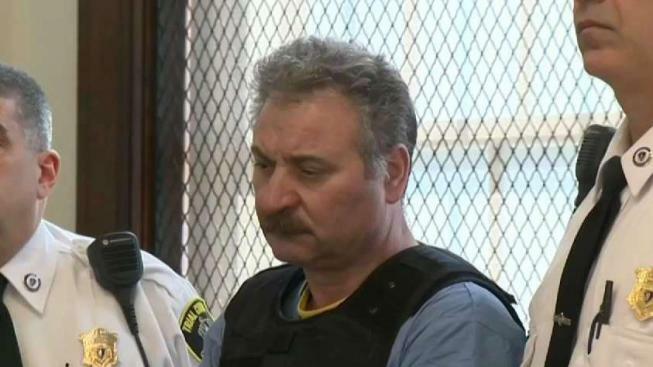 An Everett, Massachusetts man was ordered held without bail Thursday at his arraignment on a murder charge in connection with the slaying of his wife. The couple was in the process of getting divorced, and Emilio Matarazzo was licensed to carry a firearm, according to Ryan. There was neither a previous court history nor a restraining order filed between the two, Ryan added. Ersilia Cataldo Matarazzo appeared to have been on her way to work at St. Anthony's Church, where she had worked for about 20 years, according to Everett police. She had a large extended family in the city of Everett and was Mayor Carlo DeMaria Jr.'s second cousin. She had served on the school committee and board of registrars and was currently serving on the city's board of assessors. Those who knew Ersilia Matarazzo, a mother of three adult children, are at a loss for words. "This has been a difficult loss, not only for our family, but for the entire community," her aunt, Maureen DiPierro, said Thursday. "We all loved Ersilia very much. She touched a lot of lives around her." "I don't even know what to think," said one woman who was in the Everett High School band with Ersilia. "[Ersilia was] quiet, nice. Just a nice, nice person." A Massachusetts man accused of gunning down his estranged wife in her parent's driveway in Everett is due in court Thursday morning. Everett Police Chief Steve Mazzie said Ersilia Matarazzo was a "well-known, well-liked, well-respected" member of the community with deep roots in the city just north of Boston. "She’s an angel now, but she was taken far too soon," Ersilia Matarazzo's former high school classmate said. It's not clear if Emilio Matarazzo has a lawyer who could respond to the allegations. He is scheduled to return to court on Jan. 18. The investigation into the deadly shooting is ongoing.